Use lemon juice for acne scars as it contains antibacterial properties that can help prevent acne. Just rub some lemon juice around the acne prone area, leave it overnight and rinse it off in the morning. It will help prevent acne build-up and breakouts. 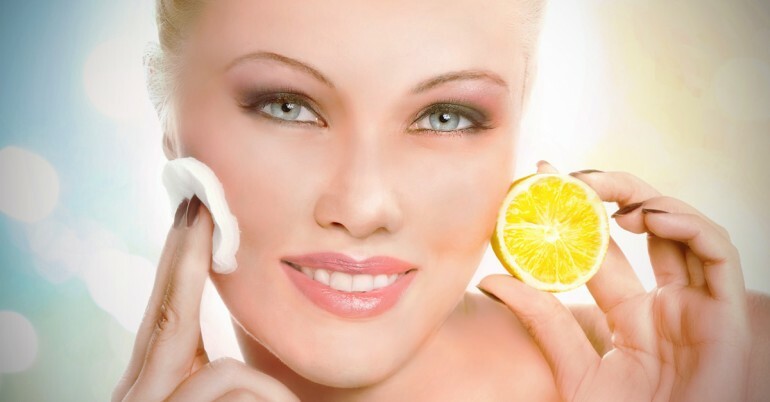 Lemon juice contains citric acid which works as a natural exfoliant and helps remove dead cells. Mix the juice of 1 lemon with 1 tablespoon olive oil, 5 tablespoons sugar and 1 teaspoon honey. Apply this mix onto face, massage in circular motion and rinse clean with warm water. Lemon is a strong astringent and can help close pores, thereby reducing oily skin. Apply some lemon oil on your face before going out everyday. Make sure you use sunscreen before doing this as lemon oil can make your skin more sensitive to UV rays. Dab some lemon juice on dark spots before bed and wash off the next morning. Your dark spots will gradually fade as lemon is a natural bleaching agent. Mix the juice of 1 lemon with 1 tablespoon of coconut oil and honey to get a great moisturizer. Apply this on your face, let soak for 15 mins and rinse off with warm water. Packed with vitamin C, it can help boost collagen production which can aid in tight and bright skin. Again, apply some juice before bed and wash it clean in the morning.